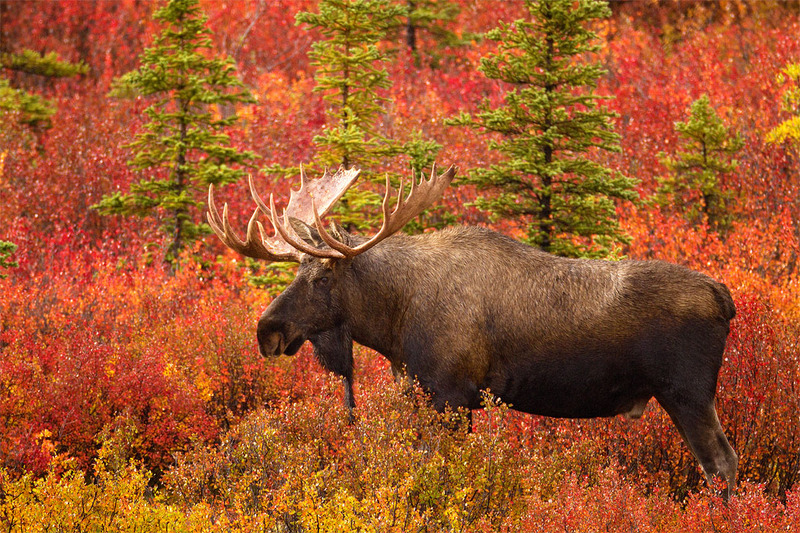 The North American Moose (Alces alces) is the largest of all the deer species. As evident in this photograph, the males, called bulls, are immediately recognizable by their huge antlers, which can spread 6 feet from end to end, their long face and muzzle, and the "bell" that dangles from their throat. Males bellow loudly to attract mates each September and October. Normally solitary, bulls may come together to battle for mating supremacy. After mating, the two sexes go their separate ways, at which time the bulls lose their antlers until early summer, when the growth cycle begins again.